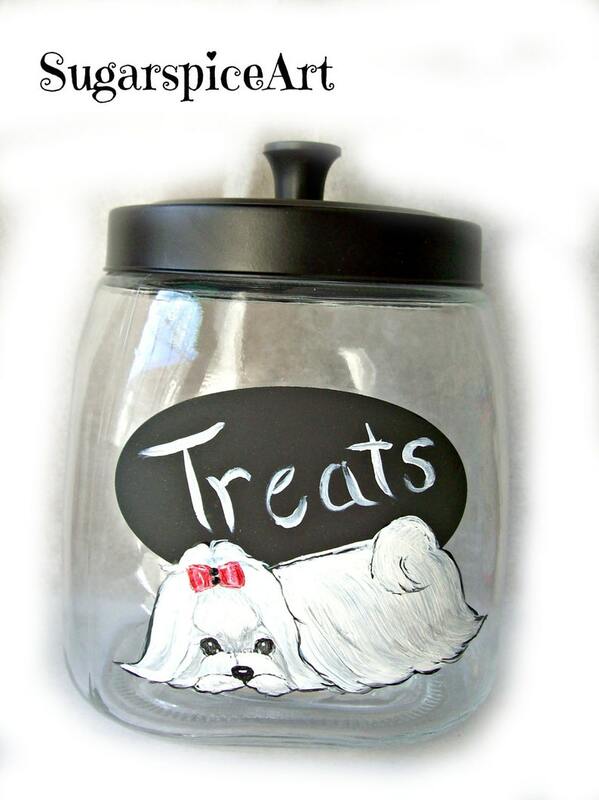 Have your furbaby's breed painted on this 48 oz.-6 cup Montana Glass Treat Jar canister with iron lid! By SugarspiceArt, whose work has been seen at Crufts and Hollywood's Golden Collar Awards! I have listed pics of other treat jars I have painted just for an idea of the design but the actual canister you would receive is the first one!